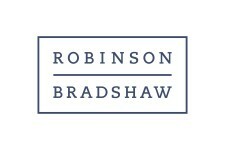 Since 1960, Robinson Bradshaw has been providing innovative, valuable legal services to clients across the country. Clients appreciate their distinct collaborative structure, which enables their team to approach legal matters differently than other law firms. The firm assembles the team that is best positioned to efficiently and effectively handle a matter – across practices, if need be – and the firm focusses on their client’s best interests at every stage of the process. The bottom line? You will get the right lawyer for your legal needs. Another thing that sets Robinson Bradshaw apart is their large number of shareholders. Clients are guaranteed effective, experienced staffing and senior-level attention – making the firm a strong partner that produces better results. Their ability to efficiently deliver excellent service is based on experience, teamwork and talent. In order to best serve their clients, the firm hires a diverse range of lawyers with both exceptional academic achievements and practical problem-solving skills. The firm and lawyers are repeatedly recognised as leaders in the legal community.